What started with an intimate, star-studded show at the Roxy Theatre in Los Angeles for family and friends resulted in the Vampires wanting to play as much as possible, trekking across the globe during their short summer break before Joe, Alice, and Johnny had to return to their day jobs. That wildly successful summer tour in 2016 took them to more than 23 cities and 7 countries - traversing the world from Verona to New York to Bucharest and headlining festivals such as Rock in Rio to more than 100,000 fans. A super-group comprised of rock and Hollywood royalty, the Vampires offer fans a non-stop, energetic concert like no other, including their original single “Bad As I Am” from their debut album The Hollywood Vampires released in 2015, plus renditions of some iconic rock favourites. Cooper and good pal Johnny Depp got together and decided the spirit of the Hollywood Vampires should live again (minus the drinking). 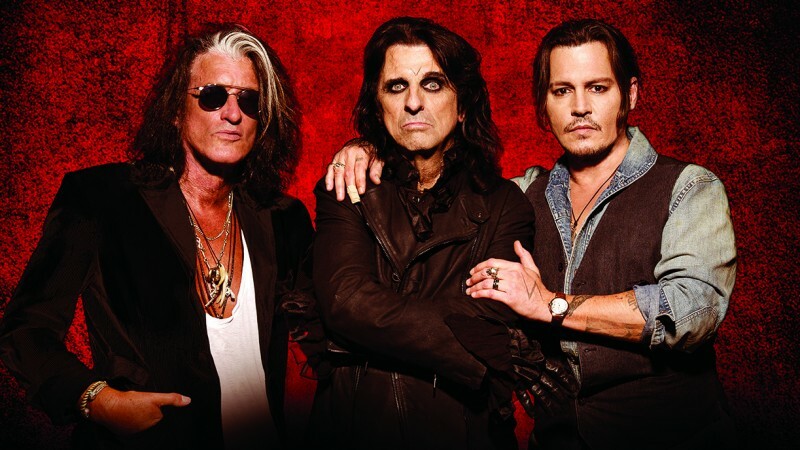 Cooper and Depp were joined by long time mutual friend Joe Perry and the recording began: a tribute to the original Hollywood Vampires. An environment was born for great artists to hang, laugh and play together. Sir Paul McCartney, Dave Grohl, Joe Walsh, Slash, Robbie Krieger, Zak Starkey and more stopped by to record. Formed in 1976, The Damned released the first ever British punk single and album. They also broke further new ground, being the first UK punk act to tour America. The Damned still receive their dues in the US, where they are often cited as a major influence on many future rock acts, including icons such as Black Flag, Bad Brains, Green Day, The Offspring and Guns ’N’ Roses. The band recently celebrated four decades together with a deluxe reissues package and a world tour.